“Mr Smith, your productivity has been falling during the last months. We need you to play Gran Turismo two hours a day in online races in order to overcome anxiety and also DOTA2 one hour a day to improve your team working skills”. Such that very enthusiastic way Marco Fernández has written a very fresh article on Pentavox about one of our projects called xBadges, based in the possibility of evaluating Soft Skills through the use of ̶s̶e̶r̶i̶o̶us commercial videogames. When talking about Soft Skills evaluation some questions related with the definition of these skills arise, also questions about their purpose and usefulness and how to get the best from them. Let’s join us to analyze some of these questions to know how valuable the Soft Skills are and how much can impact and be beneficial in our everyday lives. Maybe this sounds like a very extreme situation but it is useful to clearly illustrate that Soft Skills truly exist and they influence (a lot) in the development of our professional, familiar, social… abilities and achievements. Some educational organizations emphasize the necessity to define Soft Skills and their relationship with education and work. Australian’s PPI (The Indonesian Students Association) highlight six factors related to valuable Soft Skills needed to be developed in an educational context: knowledge and creativity, communication skills, teamwork, resilience, planning and organization, and ethics and integrity (Kyllonen, 2013, p. 6). 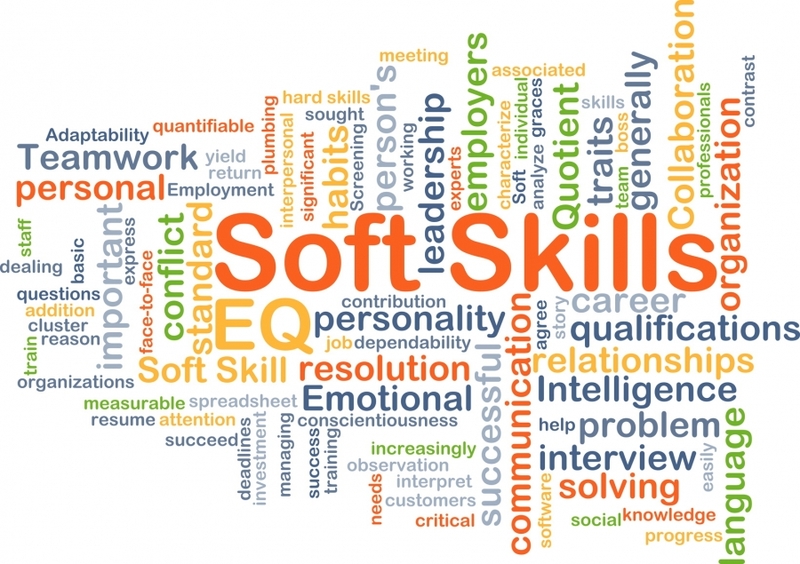 How important are Soft Skills… specially in labour market? Heretofore we have seen how important and useful the Soft Skills are in any aspect of our lives, however -and until now-, industrial labour market have considered just a little about them focussed almost exclusively in technical/professional abilities (Hard Skills). How many skills did you put on the last CV you have send? Maybe just a few or even no one, so at this moment looks like there is not enough awareness of making these important skills visible. According to Schulz (2008, p.154) even when “Soft skills fulfil an important role in shaping an individual’s personality by complementing his/her Hard Skills. However, over-emphasising it to such an extent should not taint the importance of soft skills, that hard skills, i.e. expert knowledge in certain fields, are demoted to secondary importance”, the good news is the trend is moving forward thanks to ‘behavioral science research in psychology and economics which suggests that noncognitive factors—soft skills such as motivation, work ethic, teamwork, organization, cultural awareness, and effective communication—play a role that is as important or even more important in determining success in school and in the workplace.’ (Kyllonen, 2013, p. 9). In Anglo world considering Soft Skills so important begun in the 90s when the personality models were set by some Psychologists. Some research contributed to the knowledge about these Skills and about their importance according to five basic personality models. 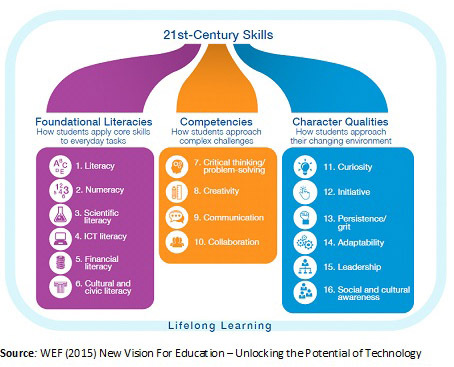 “All these skills are valued by employers. In surveys, employers mention a combination of some social and emotional skills, job and occupation-specific skills and cognitive skills as the most important when recruiting higher education graduates (Humburg, van der Velden and Verhagen, 2013). Empirical analyses based on employer surveys show that lack of social and emotional skills can create a strong barrier to employment, especially for low-skilled jobs (Heckman and Kautz, 2013).” (OECD, 2015, p. 22). A 2013 report by European Commission considers the most valuable skills by employers to take decisions to hire. Within a list of hard and soft skills it is nice to see how some of the Soft Skills as “Interpersonal skills”, “Innovative/creative skills” and “Strategic/organizational skills” sum the 50% of the arguments by the employers to decide whom to be hired. (Humburg, van der Velden, & Verhagen, 2013, p. 50-51). We have noticed how important Soft Skills really are specially in the labour market, according to this there is a third question even more important than the previous ones. Is it possible to evaluate and develop Soft Skills? “The Theory of Multiple Intelligences (Garder, 2005) is based in a model focussed in the role of the learner, oriented to the development of skills which all the intelligences are involved: Linguistic, musical, logical-mathematical, visual-spatial, body-kinesthetic, interpersonal, intrapersonal and naturalist. All of them are susceptible of being improved within an enriched cultural environment full of stimulation and throughout systematic strategies and activities. (Del-Moral-Pérez, Guzmán-Duque, & Fernández, 2014, p. 2). Level Five, an expert is actively shaping solutions through systems development based on individual and collective expertise and leadership. Those having an instrumental function as Cognitive, Methodological, Technological and Linguistic skills. Kyllonen says (2013, p.9) employers are seeking new methods to reduce the cost of identifying this skills through behavior interviews, in a first place trying to use communication technologies to identify the skills remotely but this method implies yet the intervention of a human interviewer hence the process is still expensive when used to evaluate massive receptions of CVs. In Educational System the scope of Soft Skills identification is maybe more tricky than in the labour market because all these skills have not even being considered as evaluable. In most cases because there is not any standard methodology to identify and train them available for educators, who barely have enough time and resources to evaluate and train curriculum skills (the hard ones) so it would be very harmful for them to overburden a learning agenda with an additional program of Soft Skills identification in terms of time and resources needed to deal with. As a summary it is possible and needed to evaluate and develop Soft Skills but, the issue is both not the educational system neither the labour market have found affordable and accessible methods to make it. After we have detected the demand we have started working in a model to demonstrate something we had already intuited from a long time ago: Commercial-off-the-shelf video games can be used to identify, evaluate and even to train Soft Skills and… even they already are been used for those purposes without being aware of it. Information Search and Treatment Skills. All of them are very useful Soft Skills to be applied in such different sectors, professionals and non-professionals ones. According to Del moral (2012) and Triplett (2008) the mentioned skills are already being trained through digital simulations as popular video games are so, in case of being able to setup a cuantitative/qualitative methodology to recognize the trained skills thanks to the use of COTS video games we would work in a new Soft Skills certification scenario. In this case, we would be able to certify Soft Skills as CV Attributes. This will benefit not only to educational organizations but also to the videogame, HR, training and recruitment sectors. Thanks to this new methodology we will be able to identify which particular Soft Skills have being trained by what kind of video games and to what level of maturity, in this way we would communicate to her teachers, employers, etc. the acquisition and impact of these Soft Skills and the sector to be applied into. Commercial video games used by the actual massive public are already training millions of people to acquire Soft Skills even when they are not realizing that or being parameterized in order to quantify it. The commercial video games catalogue is able to be used in different sectors to cover their needs in terms of Soft Skills recognition, evaluation and development. Some of the results have been published in Soft Skills And Video Games: Love At First Sight, an excellent article by our friend and also author of the experiment Sergio Alloza. The article is demonstrating how Persistence and Stress Control, Spatial Reasoning and Risk Taking and Adaptability are potentially measurables and also earned by training them through the use of commercial classic video games. Del Moral Pérez, M. E., Villalustre Martínez, L., Yuste Tosina, R., & Esnaola, G. (2012). Evaluación y diseño de videojuegos: generando objetos de aprendizaje en comunidades de práctica. RED. Revista de Educación a Distancia, (33), 17. Del-Moral-Pérez, M. E., Guzmán-Duque, A. P., & Fernández, L. C. (2014). Serious Games: escenarios lúdicos para el desarrollo de las inteligencias múltiples en escolares de primaria. EDUTEC, Revista Electrónica de Tecnología Educativa, (47). González & Wagenaar (2006). Introduction to Tuning. Tuning Educational Structures in Europe. Lifelong Learning Programme. EU Commission. Hampson I. & Junor A (2009). ‘Employability’ and the Substance of Soft Skills. University of New South Wales. Industrial Relations Research Centre. Triplett, J. E. (2008). The Effects of Commercial Video Game Playing: A Comparison of Skills and Abilities for the Predator UAV. Air Force Institute of Technology. Air University. This entry was posted in Education, Gamification and tagged employment, Gamification, soft skills, video games, xbadges. Bookmark the permalink.